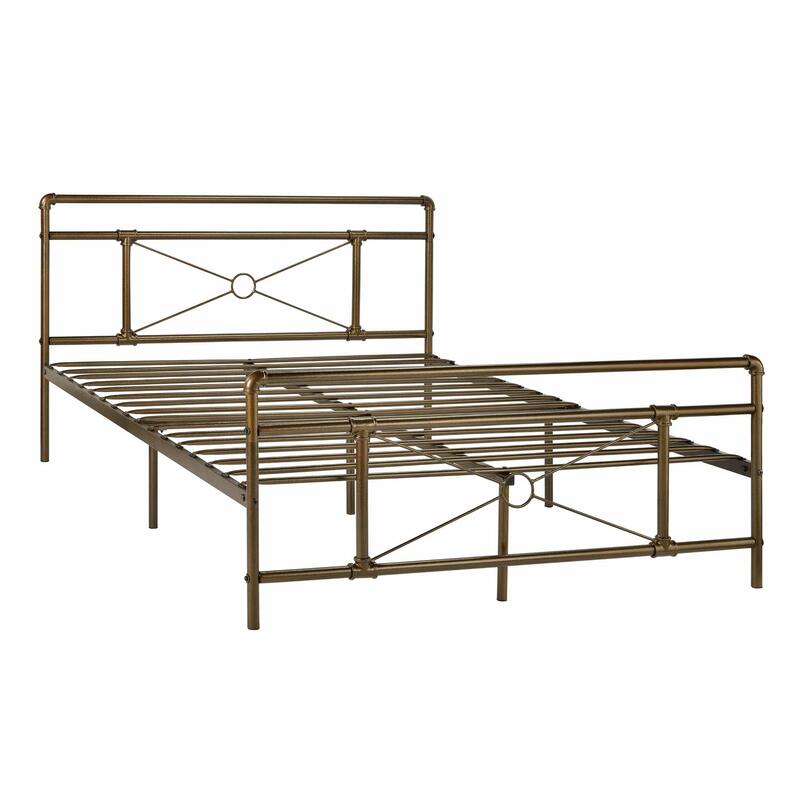 GreenForest Metal Bed frame comes complete with all of the necessary parts and tools, bring you a strong mattress support within 40 mintues and enough underbed storage space .Functioal and stylish metal bed frame creates a comfortable sleeping space for your family and guests with compact size. 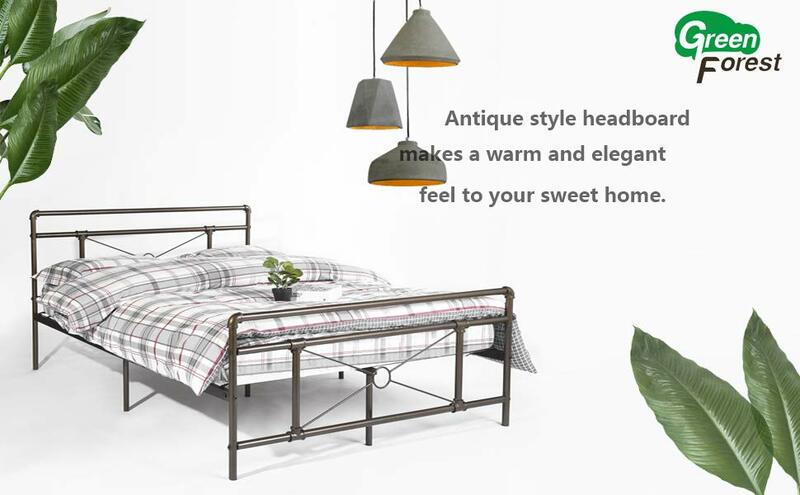 The antique iron bed frame designed with modern simple lines and victorian style finial detailing, offer a classic style that looks fabulous in a rustic or traditional home. 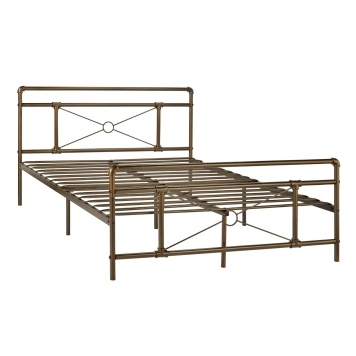 The antique bronze finish gives this bed frame a truly vintage look that appears beautifully authentic. High quality powder coating steel tubing construction which avoiding rusty . The hand-forged welded joints on headboard and footboard combined with mid-century and industrial design, give you a unique minimalist geometric beauty feeling. Twin bed frame size: 83*61*35inch Headboard height :22.4 inches . 12.6inch storage space under the frame, providing enough storage space for luggage and some boxes under the bed to tidy clothes, toys or quilts.